We are Manufacturers and exporters of high quality Hookah Grade Sugar Syrupfrom India. Our Hookah Grade Sugar Syrupis widely used in various Industries including Hotels, restaurants and Coffee shops. Our Hookah Grade Sugar Syrupis widely used in bakery, soft drinks, ice creams , herbal cosmetics and squashes etc. We are exporting Hookah Grade Sugar Syrupto various countries like Middle East, UAE, Israel, Dubai, Poland etc. We are Manufacturer and Exporter of Hookah Grade Invert Sugar Syrup. 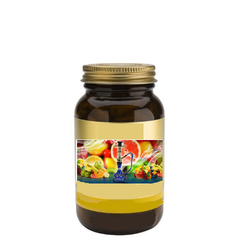 It works as an important ingredient in Flavoured Hookah.Traditionally, we are into manufacturing of Invert Sugar of different grades like pharma grade, bakery grade, juice grade, distillery grade, honey grade, golden syrup and much more.